Sitting pretty in the number two spot on the New York Times “52 Places To Go in 2014” list, Christchurch is an exciting city undergoing a rebirth after a devastating series of earthquakes in 2010 and 2011. The largest city in the South Island, it is a must see destination for intrepid travellers and the perfect jump off point to the rest of the Canterbury region. First settled by Moa-hunting tribes as early as 1250AD, the region around Christchurch became the territorial homeland for many competing Maori peoples including the Waitaha and Ngati Mamoe tribes until the arrival of European whalers in the early 1840’s. Under the guidance of the ‘Canterbury Association’, a company that established Anglican colonies in the South Island, 792 settlers known as the ‘Canterbury pilgrims’ arrived in the region and established a settlement on where Christchurch now stands. There are a number of speculated origins for the city’s name but the most widely accepted explanation is that the city’s architectural plan closely followed that of Christ Church in Oxford, UK. Christchurch is a unique city for a number of reasons. For starters, it is one of just eight pairs of cities to be ‘antipodal’, meaning it has another city on the Earth's surface which is diametrically opposite to it. This city is A Coruna in Spain. Likewise, it is one of only four cities in the world to have a central city square, known as Cathedral Square, with four complimenting city squares surrounding it. In recent years, Christchurch has been devastated by a series of magnitude 5 and higher earthquakes that have left much of the city in a state of disrepair. 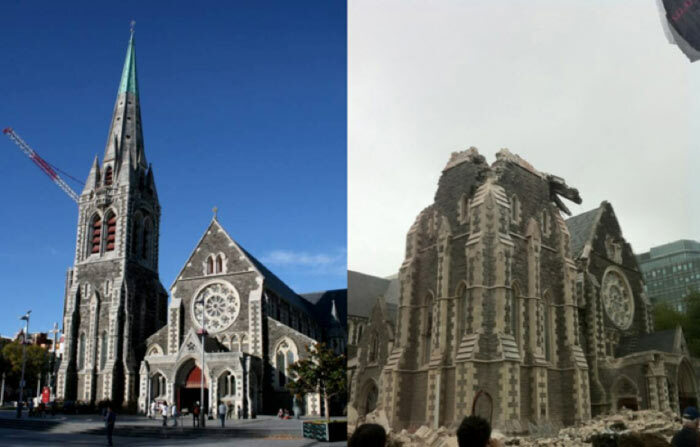 Indeed, over 1,000 buildings within the city’s CBD have been demolished since 2010; and during the 2011 quake, the famous Christchurch Cathedral lost its spire. Despite the city’s widespread destruction, the brave citizens of Christchurch have not been disheartened and today, some of Christchurch’s biggest attractions are the ingenious projects designed to keep the city functioning. These include the creation of an open-air performance space made of blue pallets, temporary gardens on the sites of demolished buildings, a nine-hole mini-golf course in vacant lots, and even a bar in a shipping container. 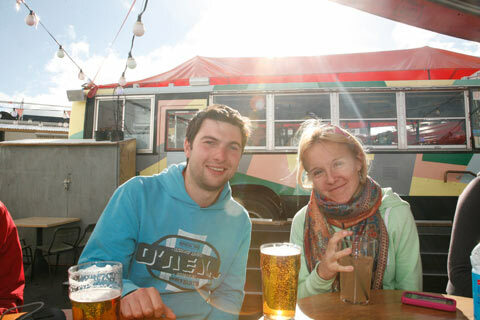 Begin your day in Christchurch with a hearty breakfast and a spot of shopping at Re:START, Christchurch’s spectacular outdoor retail and café precinct built entirely from shipping containers. Located in the city centre, the vibrantly coloured shipping containers are a funky new attraction rising from the rubble of the older city. It is worth visiting Quake City, a multimedia attraction that showcases the human stories behind the Christchurch earthquakes, which killed 185 people. If marveling at the modern constructions of Christchurch is getting you heated, then it could be time to chill out. Jump on the free Penguin Express Shuttle to the International Antarctic Centre. Experience the extremes of Antarctica by braving the minus 18 degree Celsius indoor Antarctic Storm, or take the award winning, simulated cruise of Antarctica complete with 4D special effects. For something slower, watch the Little Blue penguins frolic in their exclusive enclosure. Indeed, Christchurch has an illustrious association with exploration of the uninhabited continent and was the historic departure point for the famous Antarctic expeditions of Robert Falcon Scott and Ernest Shackleton. Entry to the International Antarctic Centre costs $56NZD per adult.Next, make you way to St John’s Latimer Square Anglican Church to see one of Christchurch’s newest buildings – the Transitional ‘Cardboard’ Cathedral. Built by award winning Japanese architect, Shigeru Ban, the place of worship has been constructed from a variety of materials including cardboard tubes and timber beams. During your time in Christchurch, you may have noticed the fleet of bright red double-decker buses at many of the major sightseeing spots. 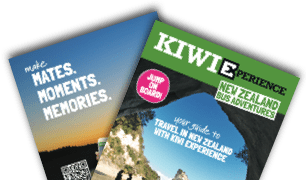 These classic 1960’s open-top buses belong to Hassle-free Tours and are one of the best ways to get around the city and learn about what Christchurch has to offer. Take the 3-hour ‘Discover Christchurch’ tour for $69NZD or, if you are a fan of the Lord Of The Rings trilogy, embark on the wild 4WD adventure ‘Lord of the Rings’ tour for $245NZD. The LOTR tour takes you out of the city to the spectacular filming location at Mt Potts, which was transformed into Endoras, the capital city of the Rohan people during the movies. If you have time, head an hour’s journey south of Christchurch to Akaroa Harbour for one of the region’s most unforgettable experiences - swimming with the protected Hector’s Dolphins. Black Cat Cruises has over 26 years’ experience in running exclusive dolphin swimming tours and their cruises guarantee that you will see and interact with one of the world’s smallest, playful and rarest dolphins. 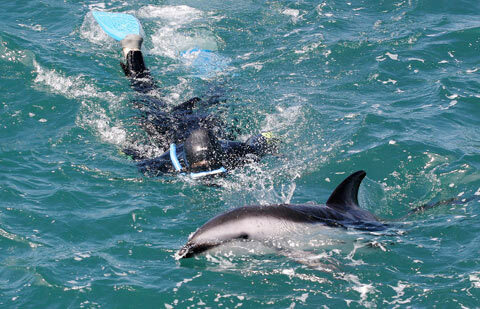 Pre-booking is essential and tickets cost $145NZD to swim with the dolphins and $75NZD to watch. If you are looking to turn up the tempo, speak to the guys overRangitata Rafts. Situated at the base of the spectacular Southern Alps, Rangitata Rafts run daily whitewater rafting expeditions through the untamed Rangitata Gorge between October and May. With rapids to suit all experience levels, it is a wild day out that is guaranteed to get you soaked. Prices for a full day rafting adventure will set you back around $208NZD. Heading back to the city, no trip to Christchurch is complete without a ride on the Christchurch Gondola. Located in the South-east quarter of the city, the Christchurch Gondola rises 500metres above sea level to the rim of a collapsed volcanic crater. Enjoy panoramic views over the city all the way across the Canterbury Plains to the distant snow-capped peaks of the Southern Alps. Tickets cost $25NZD and Red Rock Café at the summit is great spot to have lunch. One of the more popular stays in Christchurch largely due to its close proximity to the Botanical Gardens and the Canterbury Museum, the YMCA boasts clean rooms and friendly staff with a 24-hr reception service and a fully licensed restaurant. That said, the hostel also has a guest kitchen if you’d prefer to prepare the meal yourself. For those looking for some physical exercise, the YMCA’s health and fitness centre is a great place to work up a sweat. Accommodation in the hostel includes separate male and female dorms from $30NZD per night as well as single bedroom and apartments starting from $60NZD per night. REMEMBER THAT WITH KIWI EXPERIENCE, YOUR FIRST NIGHTS ACCOMMODATION IS GUARANTEED IN CHRISTCHURCH.